Located among the pristine mountains of Central Pennsylvania, The Stone House at Scotch Valley features all the amenities and convenience for your special event. Located outside of Hollidaysburg, PA, and overlooking the beautiful 16th and 17th holes of the prestigious Scotch Valley Country Club, this charming lodge offers accommodations for up to 14 guests, and is designed with wedding parties in mind. Download the Play & Stay Packages brochure. 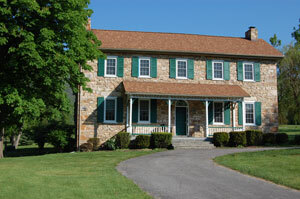 View the Stone House photo gallery.